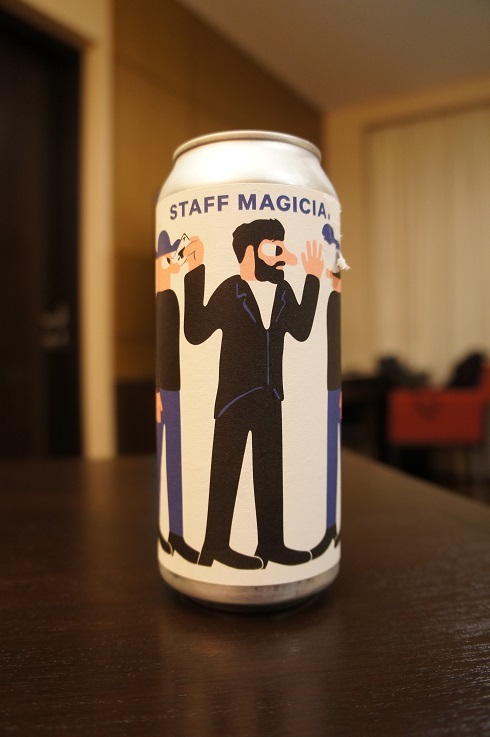 Brewer Description: (from can) Our season-long Pale Ale is a beer for everyday moments, whether it’s conversation with friends or quiet relaxation after work, and aims to provide balance between bold flavour and easy drinkability. 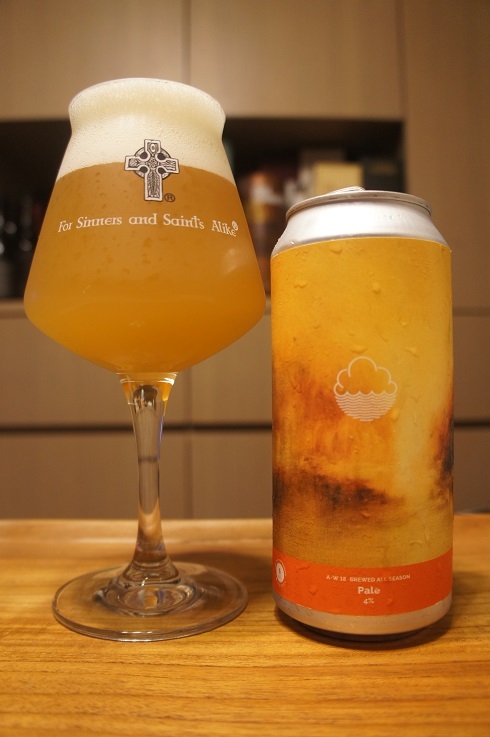 It’s full of rounded flavours of mango, pineapple and tangerine with a soft juicy finish and low bitterness. 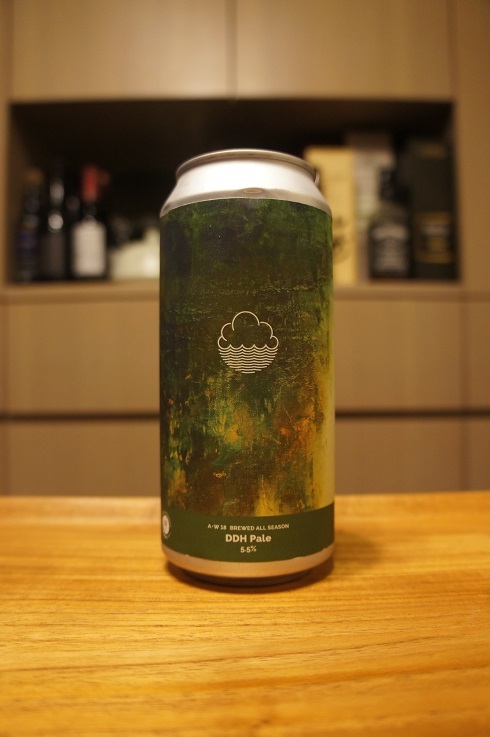 Intro: A 440ml can, canned on 28th January 2019. Poured into a Lost Abbey teku glass. Appearance: A lightly hazy golden colour with a two finger white head that had pretty good retention and left some nice fluffy lacing. 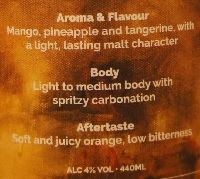 Aroma: Pineapple, mandarin peel, soapy, floral with hints of mango. Taste: Slightly underripe mango, pineapple, citrus rind, lemon zest, with hints of pine and a herbal / floral touch. Overall: Easy drinking but I’m not big on floral notes. 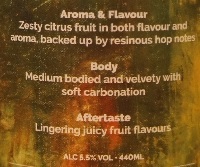 Brewer Description: (from website) In the intersection between pale ale and lemon juice. 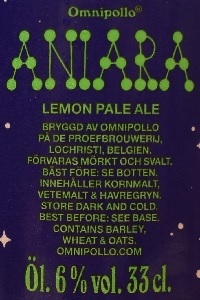 Lemonale. 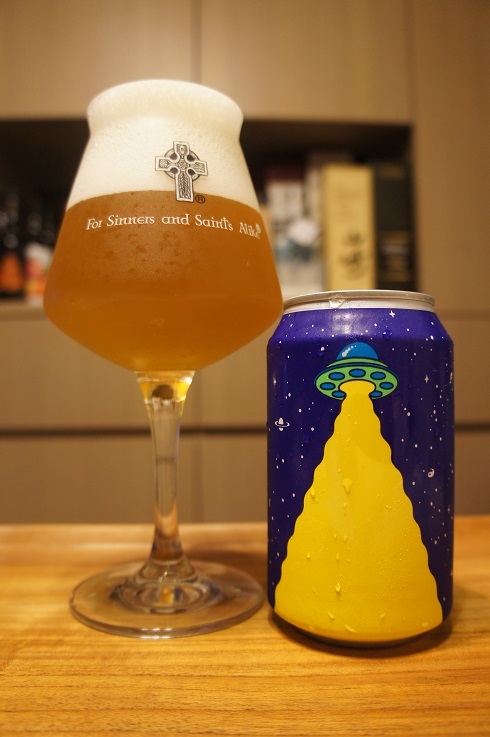 American Pale Ale brewed with lemon juice. Intro: A 330ml can with a best before date of 22nd October 2019. Poured into a Lost Abbey teku glass. Appearance: A nice slightly hazy golden colour with a big three finger white head that had excellent retention and left lots of nice sticky lacing. Aroma: Lemon peel, lemon zest, lemon and a little soapy. Taste: Sour, tart, lemon, lots of lemon, lemon everything, zest, pulp, peel, juice. Mouthfeel: Acidic, light to medium bodied with moderate carbonation. Overall: Lemon is nice, but this was overly sour and acidic, that didn’t make it so easy to drink. Brewer Description: (from can) Our all-season DDH Pale provides a balance between a juicy, full-bodied IPA and easy drinking Pale. 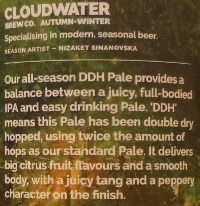 ‘DDH’ means this Pale has been double dry hopped, using twice the amount of hops as our standard Pale. It delivers big citrus flavours and a smooth body, with a juicy tang and a peppery character on the finish. 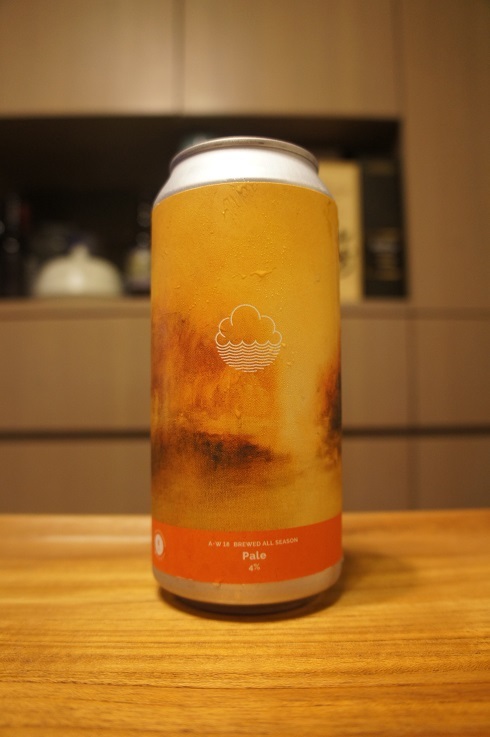 Intro: A 440ml can, canned on 23rd October 2018. Poured into a Lost Abbey teku glass. Appearance: A very nice hazy orange colour with a two finger white head that had good retention and left nice lacing. Aroma: Slightly mild, but there’s mango, orange zest, lemon peel and dashes of pine. Taste: Juicy, light mango and peach, followed by lots of citrus zing, orange, orange rind and lemon peel. Mouthfeel: Medium to light bodied with soft carbonation. Overall: A great Pale Ale that is just so easy to drink. Aroma was perhaps a bit light, but flavour was right up my alley with a good balance of tropical and citrus fruits. 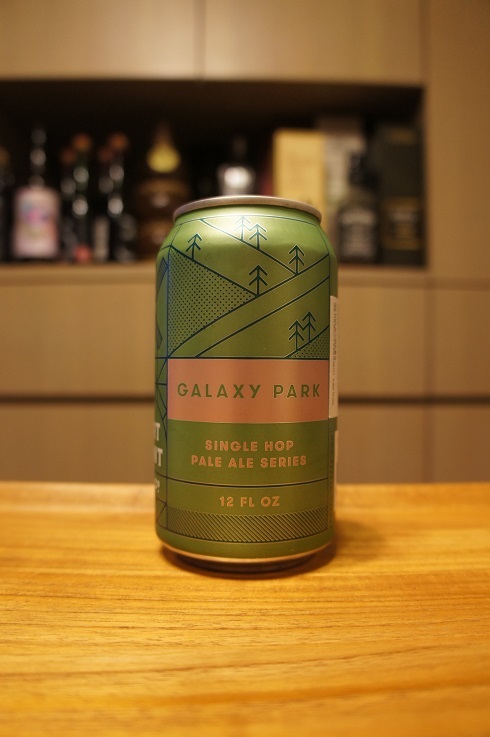 Brewer Description: (from website) Bold, spirited and intensely aromatic, Galaxy Park is a single hop pale ale that’s full of surprises. 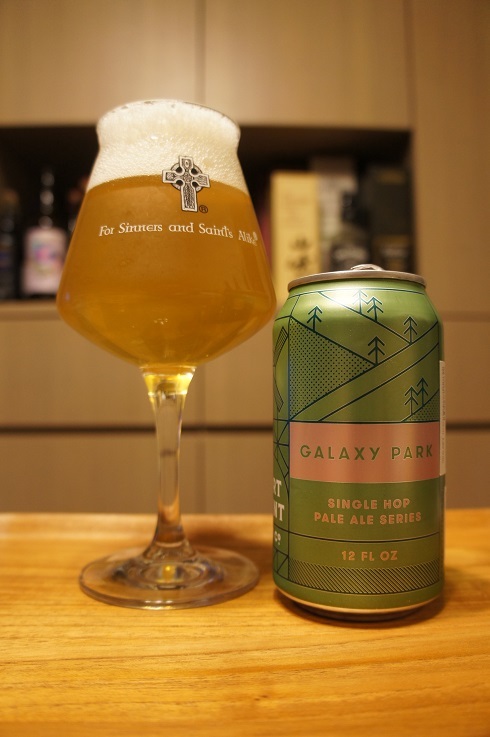 Galaxy hops from Australia work with our unique house yeast to create a complex and layered flavor profile, going beyond Galaxy’s initial burst of pineapple, passionfruit and citrus, to wry hints of riesling and fresh cannabis. This is a beer for adventures—great for cooling off after a crosstown bike ride or a meandering hike in the redwoods. Intro: A 12 fl. oz. 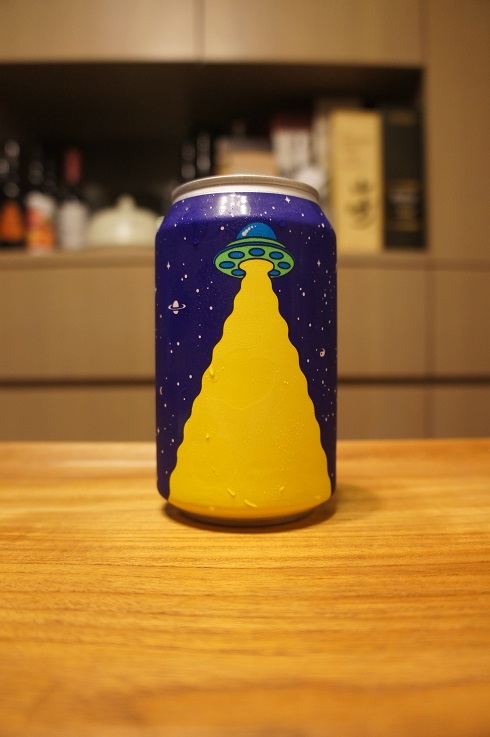 can, canned on 31st July 2018, ‘taste like space’. Poured into a Lost Abbey teku glass. Appearance: Light haze, golden straw yellow colour with an almost two finger soapy white head that dissipated fairly quickly but left lots of nice lacing. Aroma: Light sweetness, pineapple, pear, lemon zest, grass and biscuit. Taste: Light gentle bitterness, pineapple, lemon zest, pine, grass, and lightly floral. Mouthfeel: Crisp, light bodied with moderate to high carbonation. 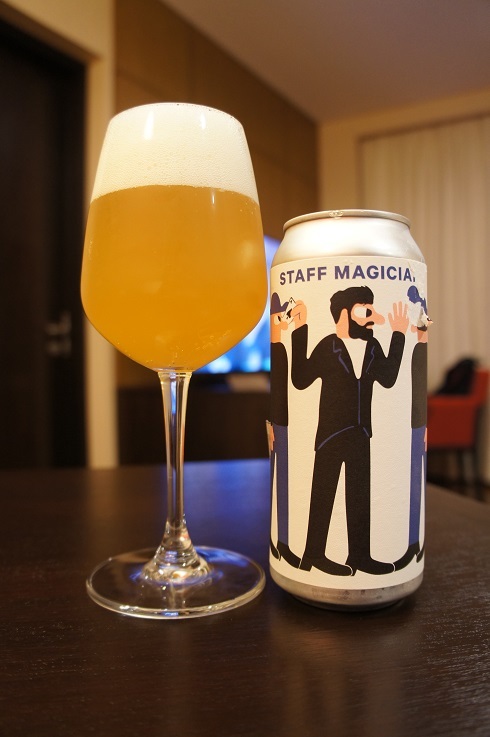 Overall: Great feel to it, with some nice pineapple and pear aroma and flavours. 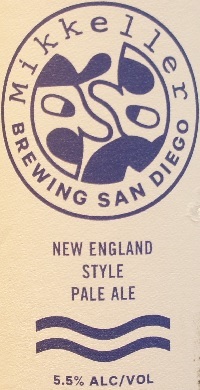 Brewer Description: (from can) New England style Pale Ale. 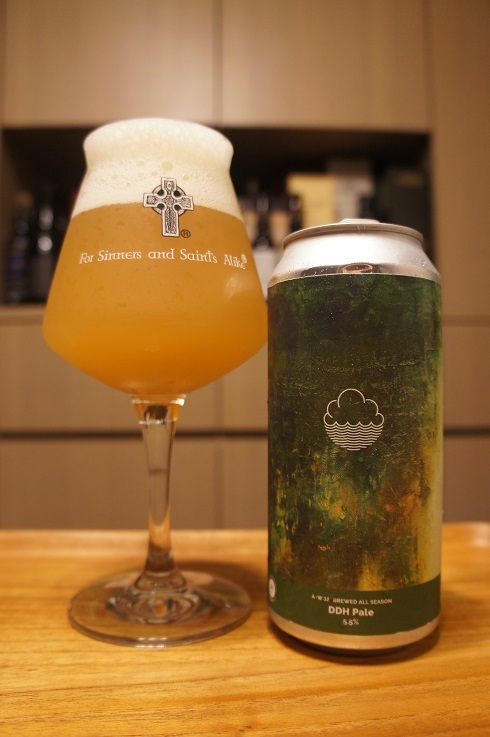 Intro: A one pint can, canned on 23rd May 2018, and poured into a white wine glass. 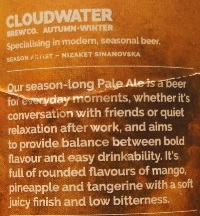 Appearance: A hazy golden orange colour with a two finger white head that had good retention and left some nice lacing. Aroma: Citrus peel and rind, lightly soapy with hints of peach. Taste: Tropical and citrusy fruit notes, mango, grapefruit, orange rind, with light bitterness and a hint of floral. Overall: Quite nice and although the flavours are there, the intensity was a bit lighter than expected.